Amélie Bourgeois rose to the challenge of finding the notes for such a strong-willed perfume. 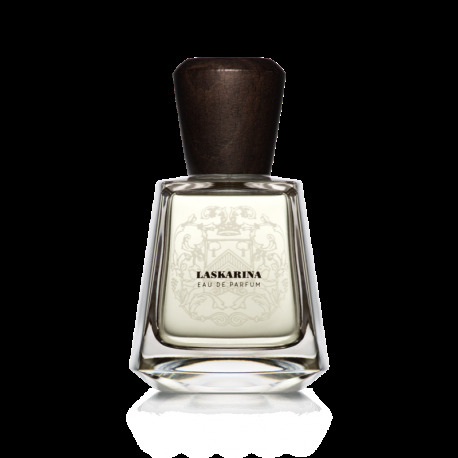 She built a floral, spicy jus, gentle yet feisty, reflecting the paradox of Laskarina. You could say it embodies the iron fist in a velvet glove. Starting off on fresh, sweet notes, it ends on unyielding accords of pepper and amber. Buy the perfume online ? Check our webshop Liquides, bar à parfums !